My copy of the book is already looking well loved! It’s the book everyone’s talking about! The long-awaited follow up to BulletJournal.com, The Bullet Journal Method goes into depth and details not delved into on the website. Even if you’re a seasoned bullet journaler, you will find value in this book. The book is designed similarly to an actual Bullet Journal with modular parts, so you can read each chapter or section independently, or read the book in its entirety. I recommend reading the entire book from start to finish, then going back and reading the entire thing straight through again. It will make more sense the second time when you can see how all the individual parts come together. In the book, author and Bullet Journal creator Ryder Carroll starts by going through bullet journaling basics with more depth than on the website, so even if you think you know what the Bullet Journal system is all about, it’s well worth reading these parts. Ryder does a good job of exploring why the bullet journal system works so well, and how our brains process it. In Part III: The Practice, he breaks down time management, goal setting, motivation, purpose, and more. Each chapter is short and structured. He goes through the challenges associated with that topic, provides evidence or research references, and then demonstrates how to incorporate each into your own bullet journaling practice. My biggest lightbulb moment was the realization that the Monthly Migration was about much more than just moving your undone tasks over to the next month. It’s about sifting through the past month’s worth of your bullet journal pages, evaluating what worked and what didn’t, why you got certain things done and not others. It reveals not only your priorities but your mental state: what were you thinking about, what was preoccupying you, what you spent your time and attention on, and where you fell down. Ryder has always said that the Monthly Migration is where the rubber meets the road so to speak for the bullet journal method. Maybe I’m slow on the uptake, but now I finally understand what he means! The book has loads of great advice and food for thought even if you don’t subscribe to the idea of bullet journaling. It’s at the intersection of time management, mindfulness, intentionality, creativity, goal setting, and self-care. I have a feeling this is a book I will keep on my bedside table and re-read sections of periodically when I need a boost in that direction. Packed with information, empathy, and humor, The Bullet Journal Method is engaging and encourages you to really dig down and determine what is most important to you. The Bullet Journal Method is already on the best sellers list, so big congratulations to Ryder! 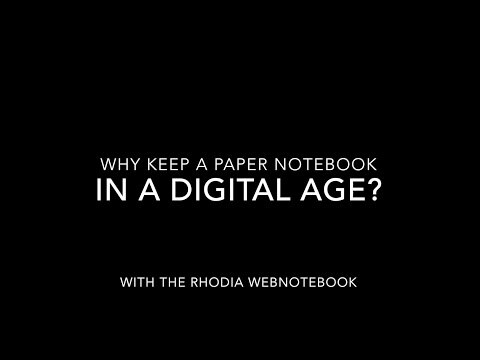 For a notebook with fountain pen friendly paper that’s already set up for bullet journaling, check out the Rhodia Goalbook! The super-smooth dot grid paper is made in France to exacting environmental standards and is designed to be used with inks of all kinds with no feathering or bleed through. With bullet journaling features like numbered pages, Index, Future Log, and more, the Goalbook will be your constant companion. Available in 16 cover colors!